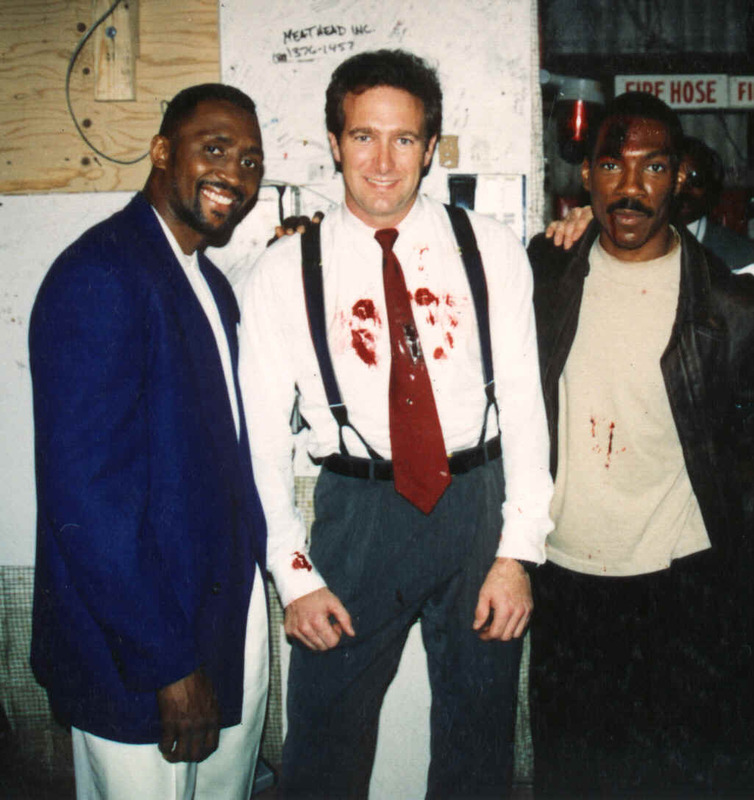 Thomas "Hit Man" Hearns, pro boxer extraordinaire (left), stopped by the set of Beverly Hills Cop 3 and broke up the automatic weapon shootout between Roger Wells (bloody shirt) and Eddie Murphy (right). Roger Wells. Photo: Charles Ellenberger.